State of Sony 001: PS4 Announcement is Neat. I’m not a Sony fanboi so maybe I was missing something while I watched the presentation, but it seemed like the Sony fanfare was going in full swing. 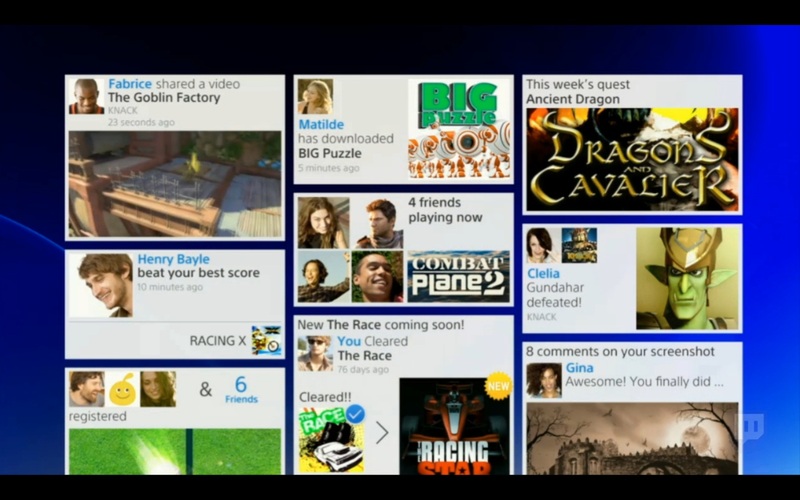 This ins’t the first Sony presentation I’ve sat through so I wasn’t completely surprised. I understand where they are coming from and why they feel they have to present the situation as such. Comments like “for gamers around the world Playstation is the best place to play” comes off as Nintendo’s “Wii U is how U will play next”. However, I understand that you have to be positive to give off positive vibes to make people get excited for your stuff. I know at least a few people that were totally excited about the PS4 after this (even though they never showed the console, booo). -Sharing videos of what you just did super easily. Easily share videos by pausing and going back to recorded gameplay and pick what awesomeness you want to show your friends. -You can stream (via uStream) your gaming experiences to share with others and there was some lag, but it seemed like they said something about multistreaming. Does that mean multiple people streaming together? That’d be cool. -Try before you buy with the new PSN. It’s not a demo, it’s the actual game so you can try it out before you drop money on it. Actually trying a game and not a watered-down demo is a very cool idea, very cool. -Said they have something they referred to as a “2nd custom chip” that will allow you to play the game as you download it. -Integration with Facebook to share all your achievements easily… since the rest of us really care. -Remote play via the Vita with upgraded internal stuff’ns to kill lag between the two. Gaikia (a cloud streaming company, basically) basically turns your PS4 into a game server, nifty. That is if developers feel like they want to. If this works out anything like the Wii U is working right now, it’ll be just the first party games. 3rd Party support, yes please. Let’s just hope that Sony has an easier time getting the 3rd party support than Nintendo did. I can remember all the devs being super excited about the Wii U a while back…. (not bitter). -PSN will span to the Vita, smartphones, and tablets so you can keep on what your buds are playing (by watching on the go) or buying. -Big Brother included! They talked about it watching what you play and buy and when it gathers enough info about you, it will download other items onto your system that it feels you will eventually buy so that when you do you can play it right then and there. I’m not the biggest fan of this, but not in the Big Brother kind of way, but in the, “someone else is putting crap on my hard drives” sort of way. -I believe I heard that it would be always online (like the rumors said) and I feel this is more or less confirmed by Blizzard porting over Diablo III. 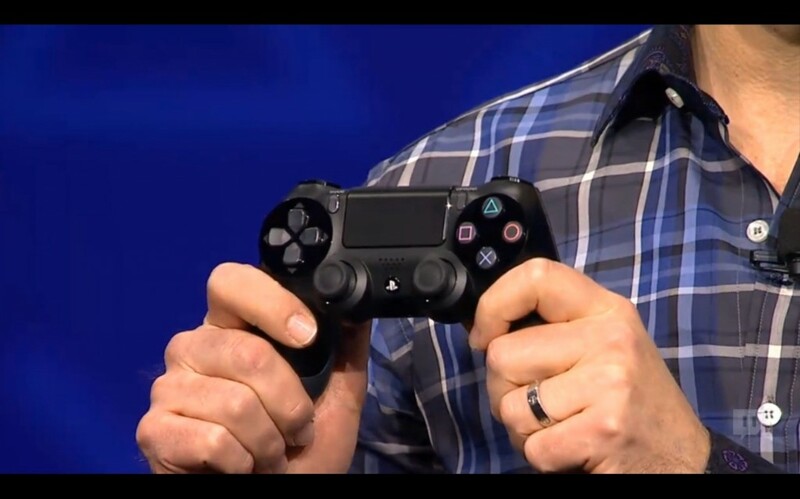 Introducing the new PS4 controller. Similar, yet different. Touch pad, convex joysticks, modified d-pad and trigger buttons, all made to be a little nicer to your hands. It doesn’t look bigger though and I thought they were going to make it a little bigger. *Edit* Another thing I forgot to mention was that while Sony may have confirmed that the PS4 won’t be backwards compatible (thus sayith Destructiod), I already knew that. 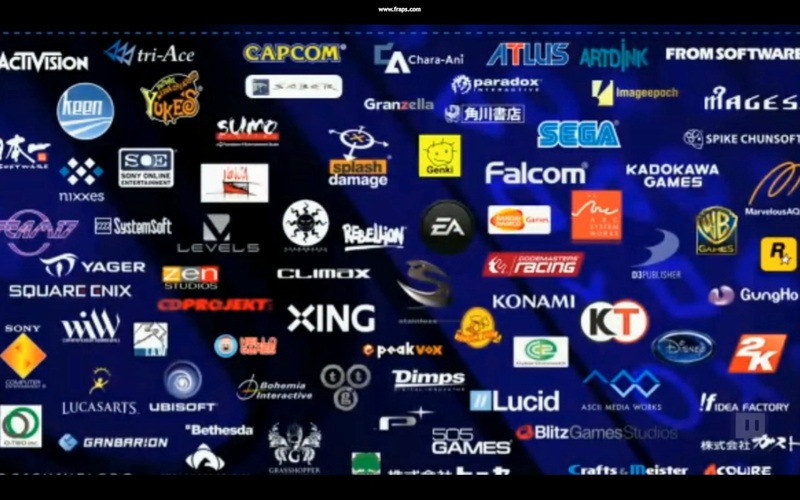 They mentioned playing all of the older Playstation games (in time) on the cloud. *cough*On Live*cough* That aside, keep in mind what they did with the PS3. In the beginning, they had PS2 compatibility, but took it out, literally It was a physical thing. Cost wise, it was probably nicer on Sony’s wallet (who doesn’t have a PS2 anyway?). The tech is probably so different that they figured they’d do the same thing with the PS4. Of course, since they may be doing this whole “cloud gaming stream” bit, it also means you’ll probably be paying for all the games all over again. On the plus side, no hard drive space is taken up, so that’s cool. *Confirmed again by IGN as well as saying the games will be around $60. Zero backwards compatibility upfront even with downloadable games like Journey. Come on Sony, you could at least try a little harder. Sony has some awesome stuff for gamers come this next console. They haven’t told us everything yet, and there are still a few things I’m worried about. I’ll let that go for another day though. I wan’t enthralled, but I wasn’t turned away either. I think competition is good for the industry. I kinda just wish Sony better luck this time around. I feel getting out before the next Microsoft console will be key for them. If they can get some of those next gen games first, then there is a chance that this time, it will be Microsoft’s turn to play catch up. My thoughts exactly on the predict/downloading bit. It’s my harddrive space! I too, even though I don’t plan on buying a Vita, would like to see more connectivity. However, unlike the Wii U, the Vita does not come with the PS3/4 so making games that require this… I wouldn’t see that coming from anyone but Sony themselves. It’s not a lot to ask to a dev to use a device that comes with something, but requiring gamers to purchase a $250-$300 “accessory” would be a risk that I don’t see many devs taking until the Vita market starts to sell more units. I guess I am the only one out there that actually thinks the new controller looks kind of cool though… army of one I guess. If the developers wanted to risk the extra programming they could make Vita controls optional. Whether it’s just another control scheme or be like Media Molecule with lbp2 and make it dlc. You’re right in the fact that it probably wouldn’t be worth it until the Vita picks up. They just cut the price in Japan. Maybe the US will see a price drop before the PS4 launches. As for the controller I think it’ll grow on me. My initial thought is that it’s kinda ugly. Not sure I’m feeling Playstation on the touch pad either. Great idea for the Vita but I would question it getting much use on a console. There will most likely be some launch titles that use it to “show it off” but until I see it in use my opinion is it’s a waste of space. I am kinda glad to see the “Start/Select” buttons go. 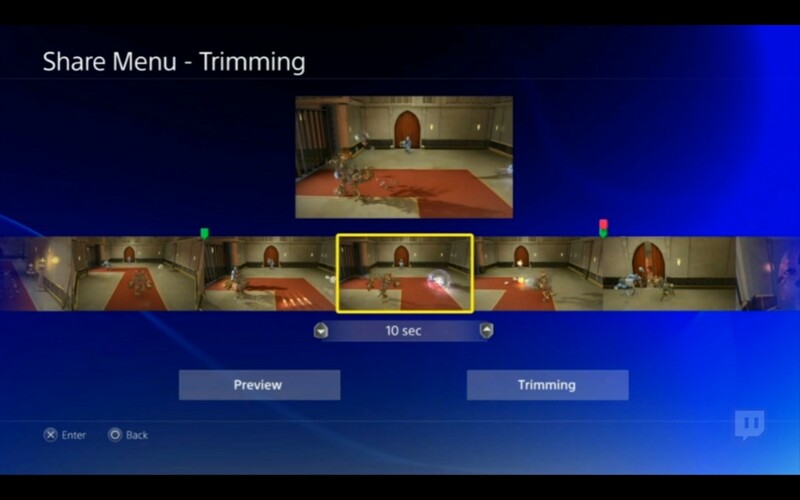 Often times Select didn’t get a lot of use and when it did it’s function would have been better served in a more convenient position on the controller. Destiny and Watch Dogs look to be two promising launch titles. Those two alone would keep me busy until more games came out. Yeah, I am excited, The interconnectivity to the Vita is a nice addition (though I would need to see it in action before I go all fanboy on it) The Gaikai thing makes me laugh, I know what games I want to play, there is little sony can do to persuade me otherwise. I am digging the streaming content section as well as blizzard finally porting to a console (albeit with the worst game to date in the lexicon). Not bieng a processor and card guru, I have no Idea about how the chipsets are going to perform, But I look at the past performance and smile. I have had my Ps3 for what 6 years already, and the launch titles compared to what we are playing now shows just how savvy developers are in creating long lasting tech. I spent 300 bucks 6 years ago and its still with me. I think in all, it may be the first coffin in Nintendo’s console coffin, with the 720/durango being the final one. Am I the only one that see’s a total of 6 great games on the wii with a current graphics scheme thats still about 2 years behind the 360 and ps3 ???? “… the worst game to date in the lexicon” ouch, Blizzard just got burned! While I like the controller, the touch pad being just a pad w/ no visuals… I’m still waiting to see an actual use for that. I’m still fairly sure it will be online all the time. I have no real confirmation of that, but until I’m proved wrong I’m sticking with that belief. On Nintendo’s early grave you’re digging there, anyone that feels Nintendo is in trouble because some other company is putting out a higher spec system, doesn’t know Nintendo. Nintendo will always have a place. Sony fights Microsoft and vise versa it seems. Nintendo is that drunk guy they fight and they just can’t touch. Turns out they act crazy, but they fight better when crazy. They lead the way with taking risks and trying to innovate, the day they go down is a sad day in gaming indeed. Well, I feel that the days of them developing as a console are numbered. Slow, and low sales, encumbered third party delvelopment. I love nintendo please do not misunderstand, I can also appreciate the quirkyness of its market. However I do feel that its last generation of tech and the new one arent going to be enough to move units, quirky or not. I guess we’ll just have to agree to disagree my friend lol. However, I hope you are proved wrong in the upcoming days, as I feel you will be.